Before the science of safely preserving food in a can was developed, home cooks and commercial operations used glass jars. Because low-acid foods such as corn, pumpkin and squash, need temperatures higher than that which can be withstood by glass, these foods could not be safely made into the thousands of shelf stable, canned product we now put on our pantry shelves. Prior to 1846, there were only six commercial food canneries in the United States, one in Portland, and one in Eastport, Maine. In 1839, Isaac Winslow began the canning or “retorting” of corn in Portland, and in 1862 patented his process. Unfortunately, the can of Maine “cream style corn” and the version now sold by the industrial food system, contain just one common ingredient: corn. 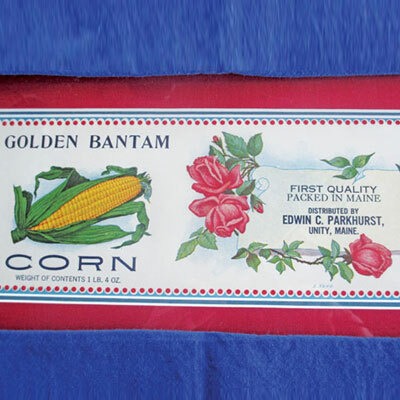 Starches, gums, modified food thickeners, were not a part of original version of Maine creamed corn. 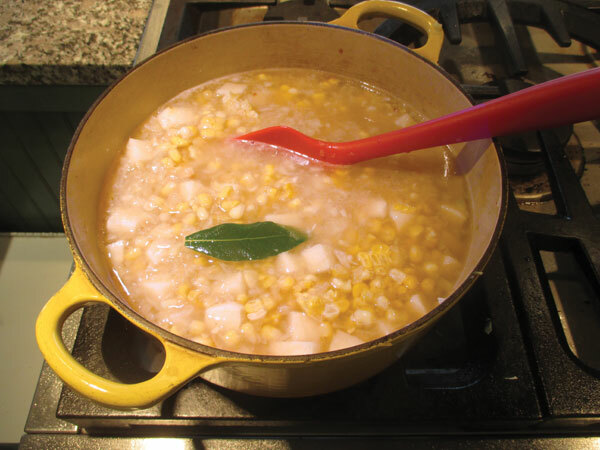 This food, an important component of Native American cuisine, is actually the combination of corn kernels and the milk released from the pulping or grinding of the corn kernels. It’s really just corn. We had a bumper crop of sweet corn this year, and I scraped many ears of cooked corn kernels into plastic bags and froze the bounty. 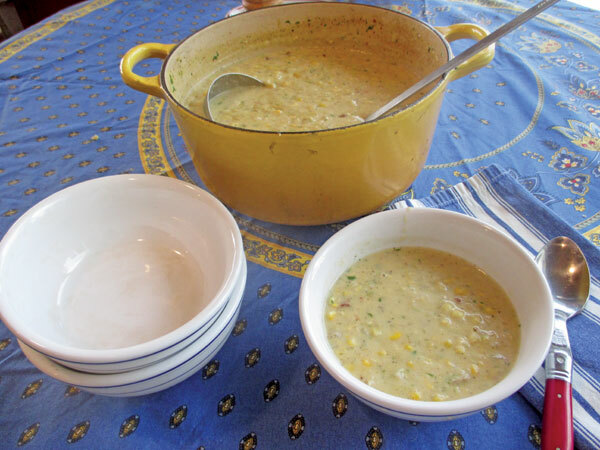 So it was easy to replace the canned creamed corn with frozen corn in the recipe for Maine Corn Chowder. 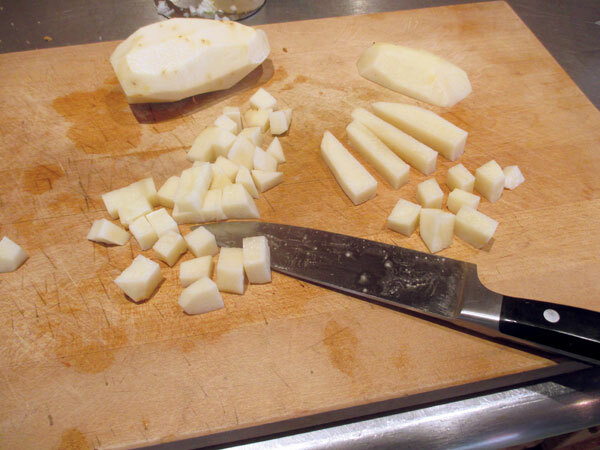 Because texture is important in a chowder, be sure to cut your potatoes into nice and evenly sized pieces. 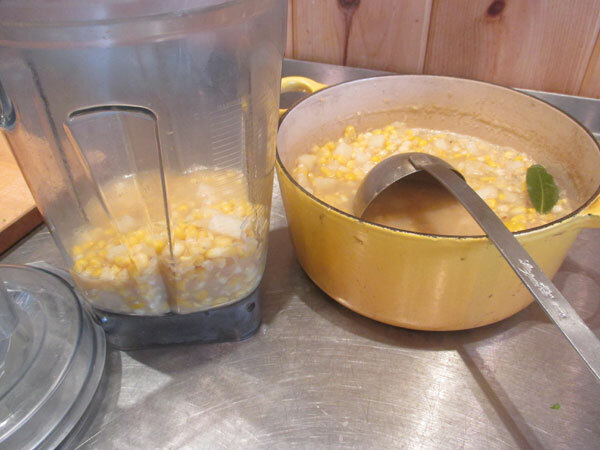 Pureeing some of the soup in a blender or food processor yields a nice, creamy flavor, plus releases the corn milk that sweetens and adds depth to the soup. 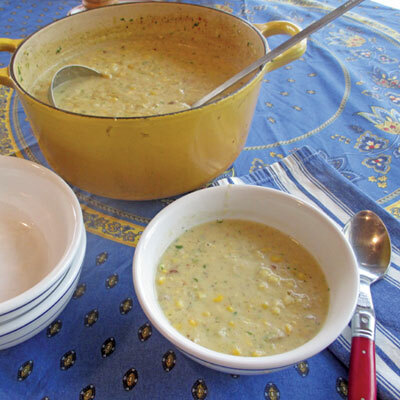 Made without processed canned corn, this delicious chowder is creamy, filling and low fat. 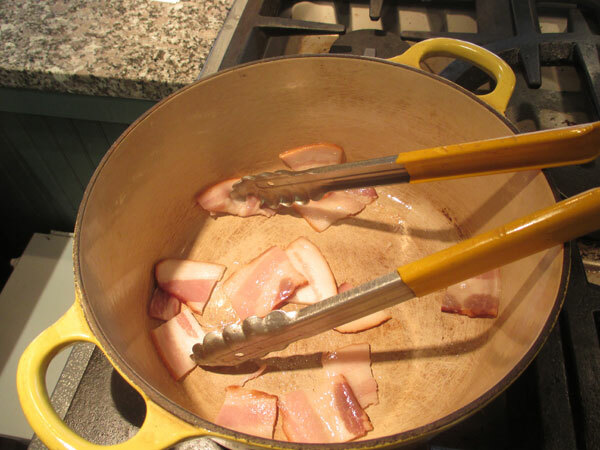 Cut the bacon into small pieces and cook in a heavy soup pot until the fat has been rendered. Remove the cooked pieces. Stir in the diced onions and cook until they start to soften. Dice the potatoes into even pieces. Add the diced potatoes to the pot, stir and sauté for a minute or so. Add the stock, bay leaf and frozen corn kernels. 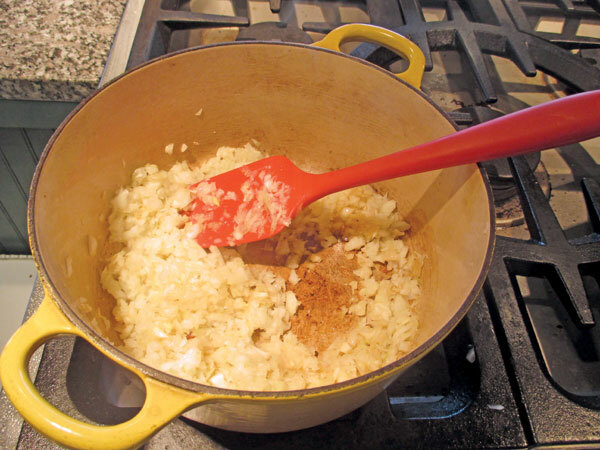 Bring the mixture to a simmer, cover, and cook until the potatoes are tender. Remove the bay leaf and allow to cool slightly. 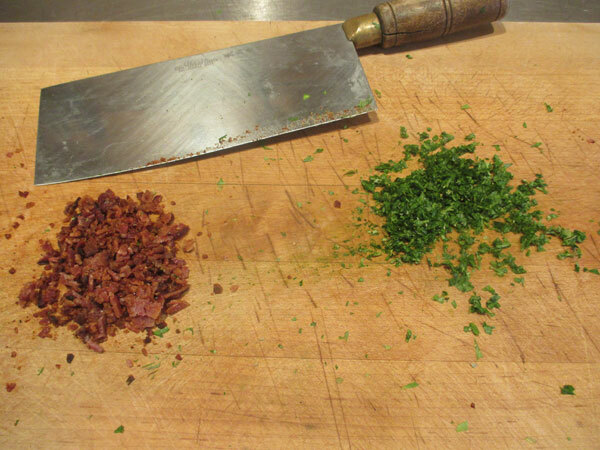 Chop the cook bacon pieces and parsley. Set aside. 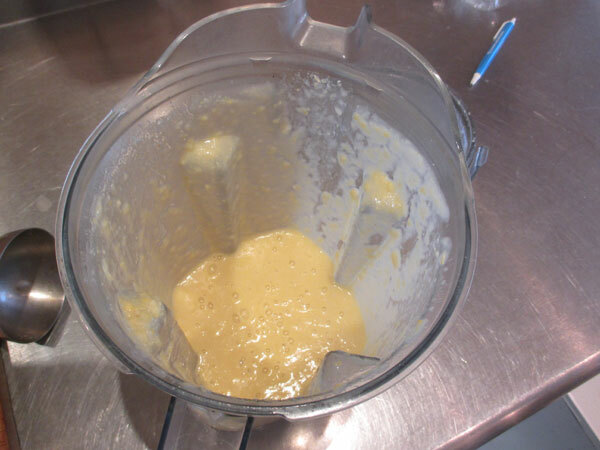 Remove about 3 cups of the soup mixture and puree in the blender. Return the pureed chowder to the pot. 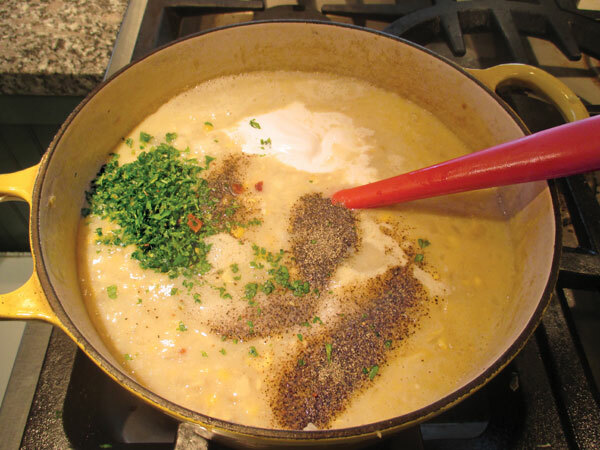 Add the ½ cup heavy cream to the chowder base and gently heat the mixture to a simmer. Add the chopped fresh parsley, chopped bacon bits, sea salt and pepper. Taste and correct seasonings. Refrigerate for at least 24 hours before serving. To reheat: warm gently in a heavy soup pot, stirring frequently, until it just starts to simmer. Ladle into heated bowls and enjoy.